Murasaki Penguin is an interdisciplinary collaboration between dancer/choreographer Anna Kuroda and sound/multimedia artist David Kirkpatrick. We are based in Western Sydney. 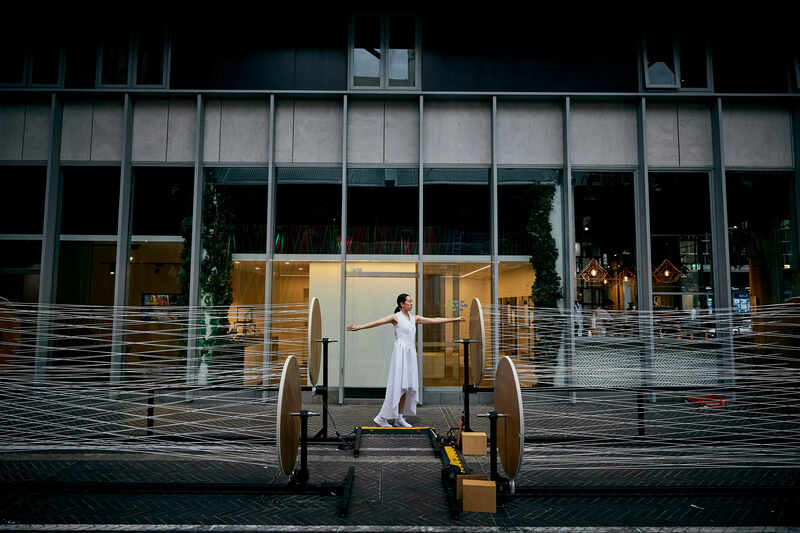 Our work crosses cultures and the boundaries of dance, sound, video, electronics and large scale installation – with a focus on interactivity and live performance. 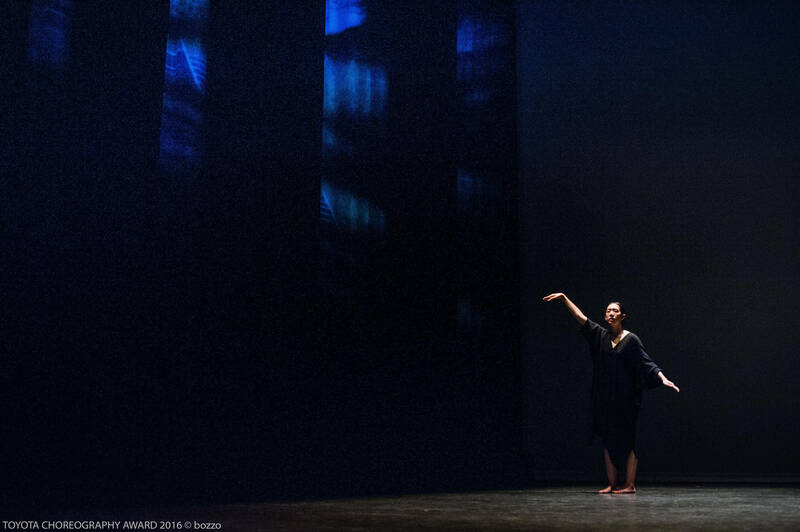 ‘Window’ – performance at the Toyota Choreography Award 2016, Japan – 1 of 6 finalists from 225 nominations – supported by the Australia Japan Foundation (DFAT). ‘Shima’ – performance within an interactive LED flower installation – iterations presented in Australia (Underbelly Arts Festival 2011), Italy (Palomart Eco Festival 2012) and New Zealand (Wellington LUX 2015). 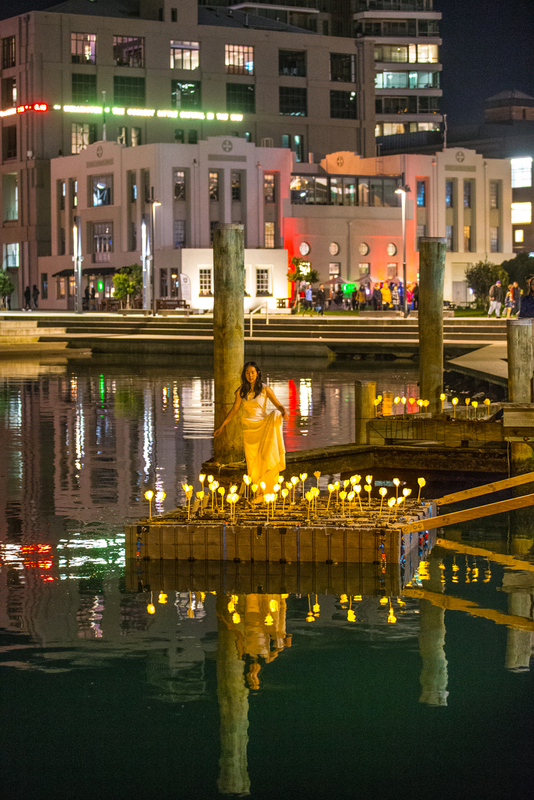 ‘Citylights’ – performance installation connecting two cities, Sydney and Yokohama, supported by Australia Council for the Arts OYEA, Japan Foundation Sydney and Yokohama City. ‘Sit’ – moving image installation commissioned by Casula Powerhouse Arts Centre’s Near x Far Exhibition 2017. 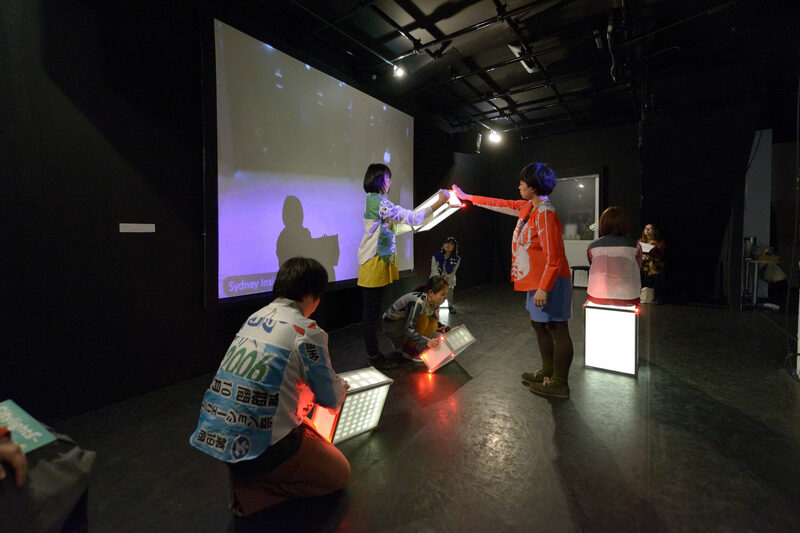 ‘Motion Theory’ – kinetic installation/dance/projection/generative music for Singapore Inside Out Festival 2017 – collaboration with Kian Peng Ong. Anna’s movement practice focuses on sensitivity to internal and external air flow around the body, as well as sharpness, fragility and unique rhythm. She aspires to make work where, through focus and technical skill, the dancer’s body is, in a way, unseen; leaving cells and memories. David is inspired by international/local sharing of art, perception and energy of place. 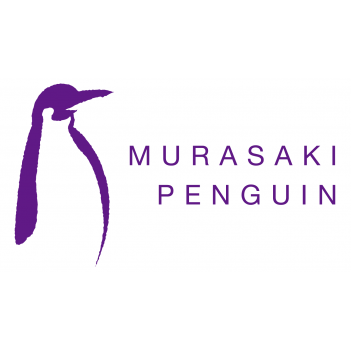 Reviews of Murasaki Penguin’s works can be accessed here.